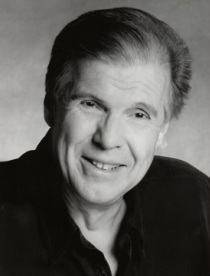 Bass-Baritone Paul Geiger has performed extensively throughout the United States with opera houses including The Lyric Opera of Chicago, San Francisco Opera and Des Moines Metro Opera. His repertoire includes the title roles in Sweeney Todd, Marriage of Figaro and Turk in Italy, Belcore in Elixir of Love, Mustafa in Italian Girl in Algiers, Olin Blitch in Susannah and the Four Villains in The Tales of Hoffman. Director Dr. Robert Larson said, “Mr. Geiger has the uncanny ability to completely inhabit any character he plays.” Recent engagements include the narrator in Bellissima Opera’s unique productions of La Traviata and Madama Butterfly. In 2013 and 2014 UK tour, he premiered and performed the role of Admiral Croft in the new Jane Austen musical Persuasion with Chamber Opera Chicago under the direction of Nick Sandys. He has recorded the The Circus Procession and is currently recording Eva's Toy Chest by Cassandra Boucher.